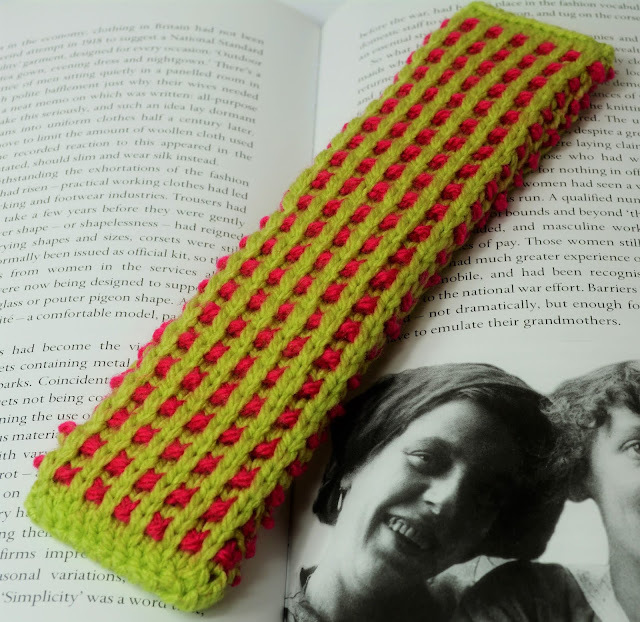 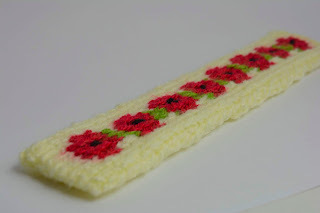 The bookmark is 19cms in length, knitted in Double Knitting Wool & Worked Flat. 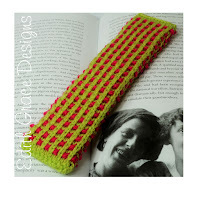 I am currently looking at patterns that use texture & contrasting colours. I have used basket rib stitch in this design. 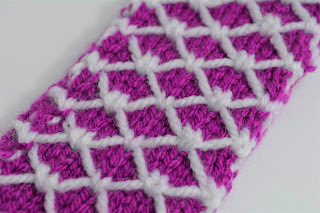 This design looks like weaved knitting, with little blobs of pink poking through the work. 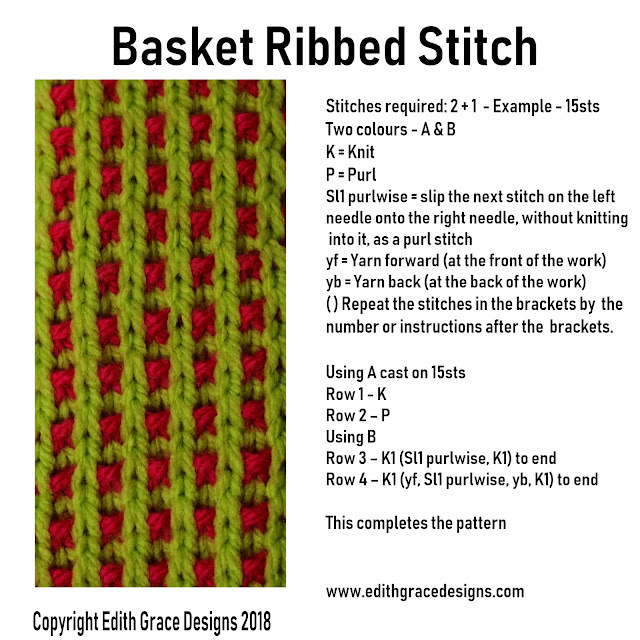 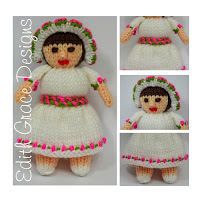 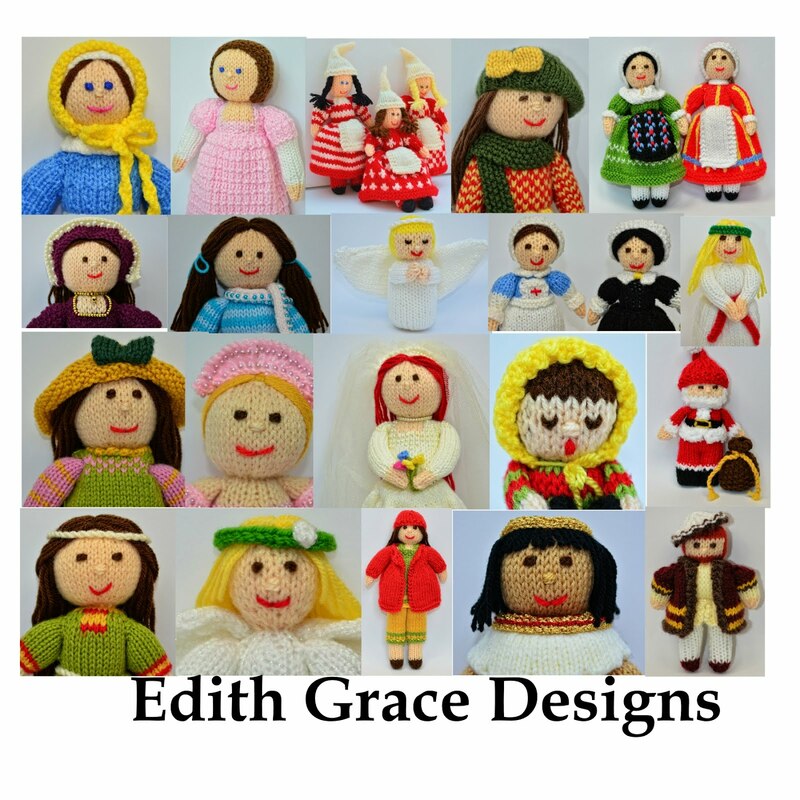 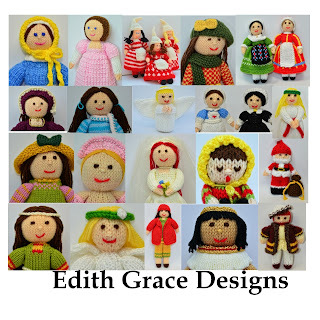 The stitches that are used in this pattern is knit, purl & slip stitches. 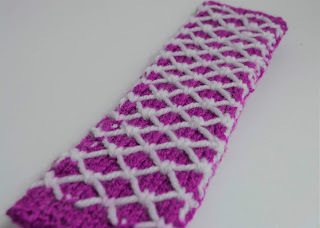 The slip stitches create the weave effect. 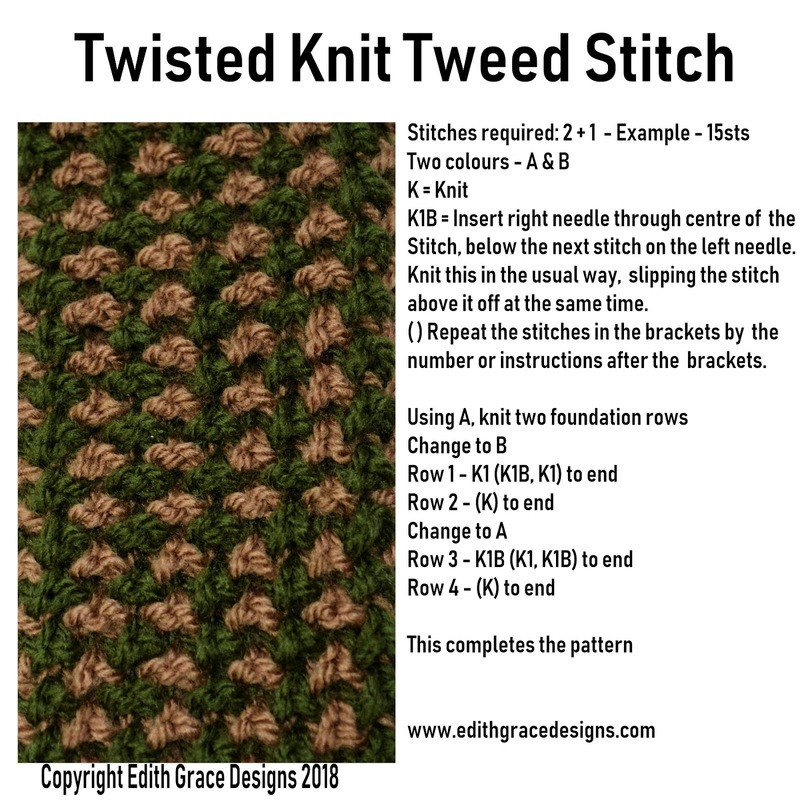 I am currently looking at patterns that use texture and contrasting colours. 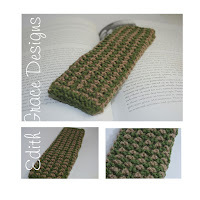 I have used a twisted knit tweed stitch in this design. 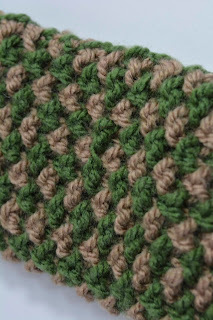 Of course, thinking about the colours of a tweed pattern, I have used a light brown and green to reflect the history behind tweed. 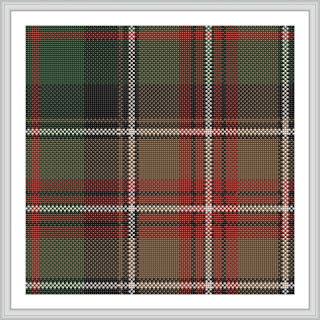 It is believed that tweed originates from Scotland, used as farmer's clothing. 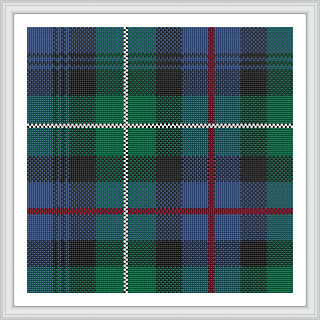 It is later recognised as a style used for hunting wear for the gentry & royalty. 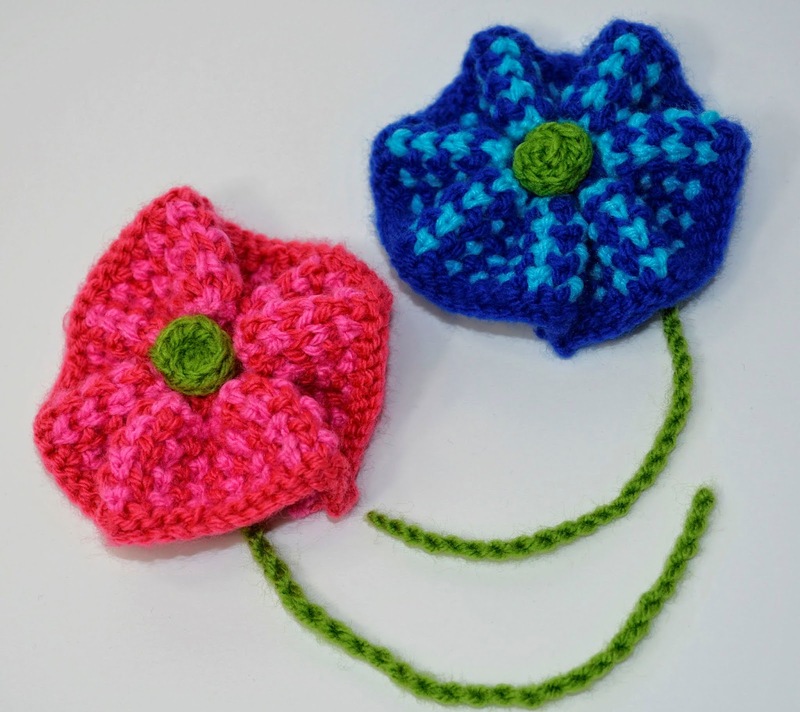 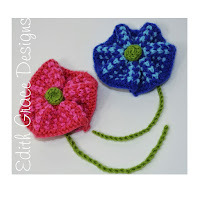 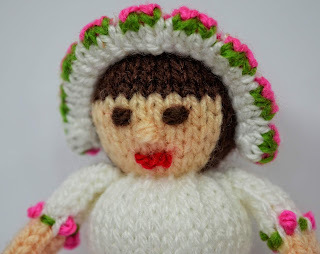 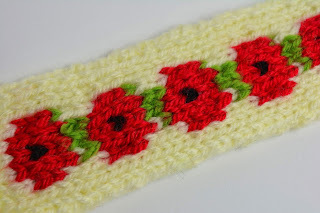 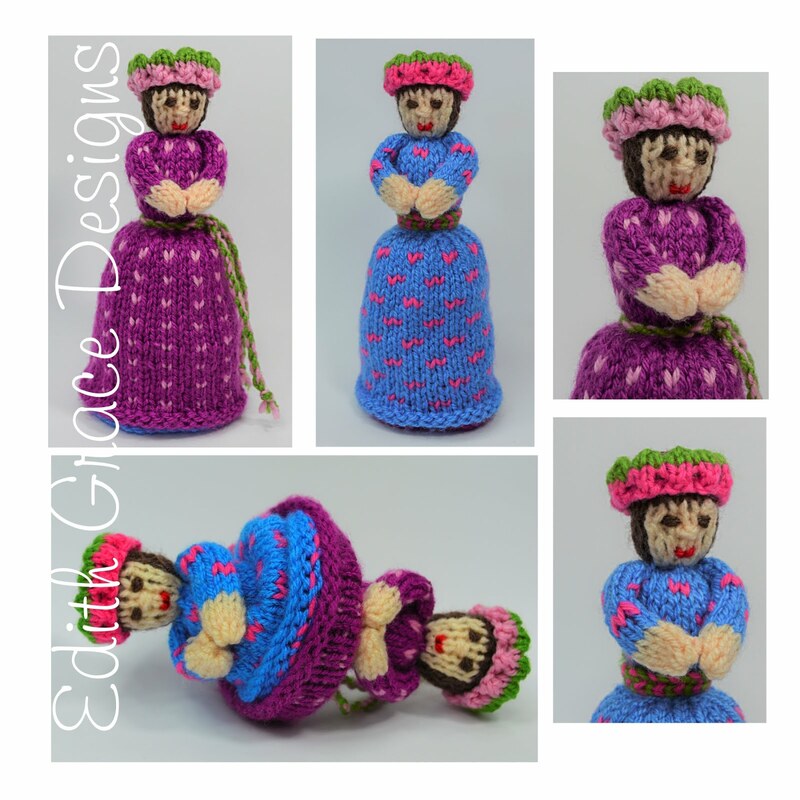 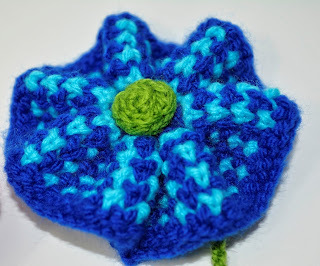 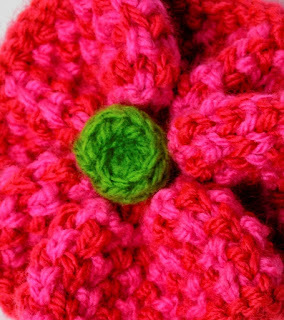 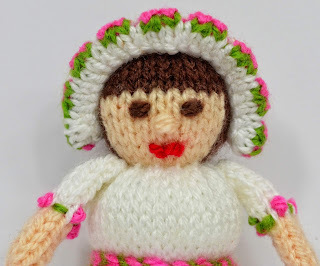 The stitches used in this pattern are: knit, purl & knit into the stitch below. This knitting into the stitch below, creates the twist in the pattern. 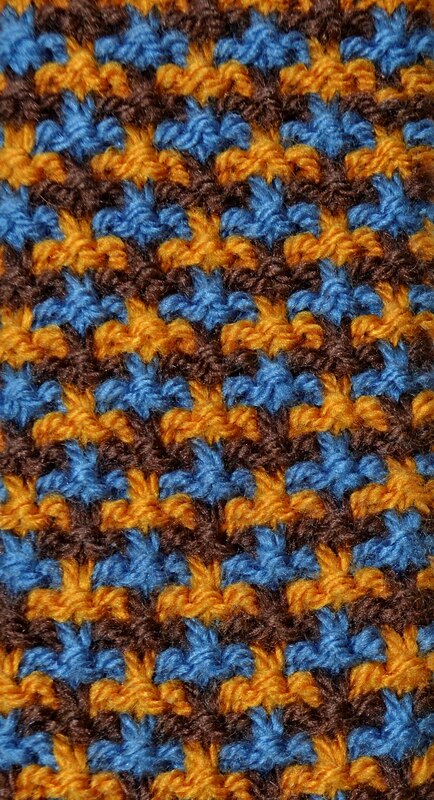 I wanted to try and learn more about texture and use new stitches, rather than just knit & purl stitches. 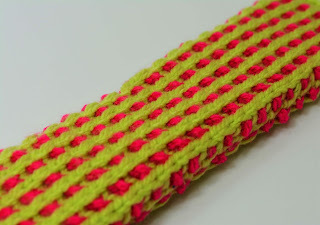 The lattice stitch uses two contrasting colours The stitches include: knit, purl & slip. 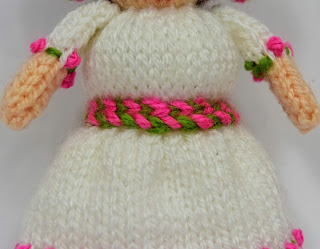 The yarn is forward & backwards throughout the pattern and picks up the white yarn to make a stitch. 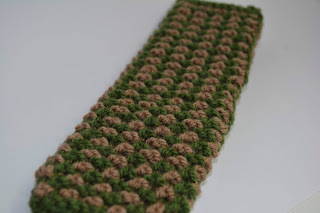 I love this pattern, but it does require reading the pattern well and writing down each row you knit. 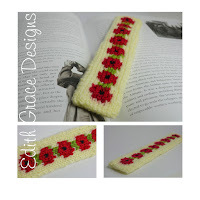 This pattern reminds me of Tudor patterns used during that time. 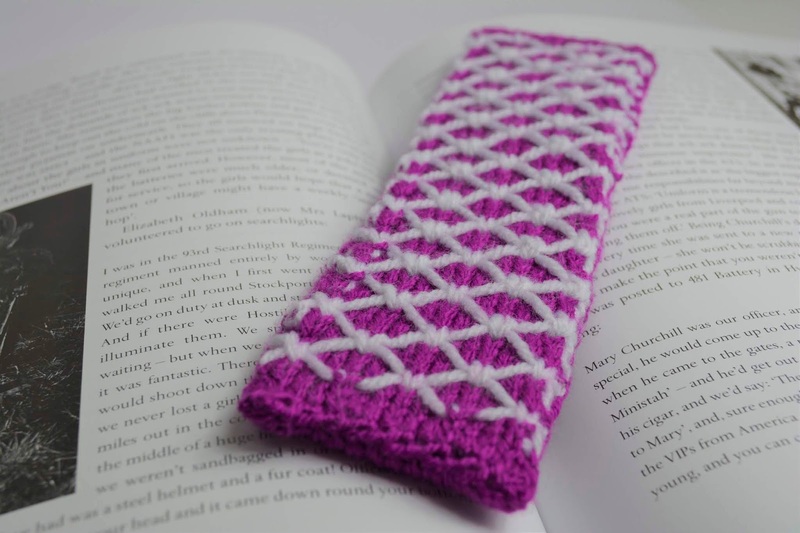 I love knitting motifs into my designs and I know from talking to people about knitting that they like to learn new skills. 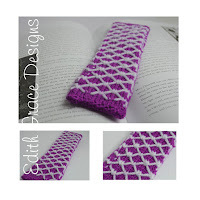 So, my bookmark designs are short projects with new skills, but quick enough to make something for yourself, or as a gift. 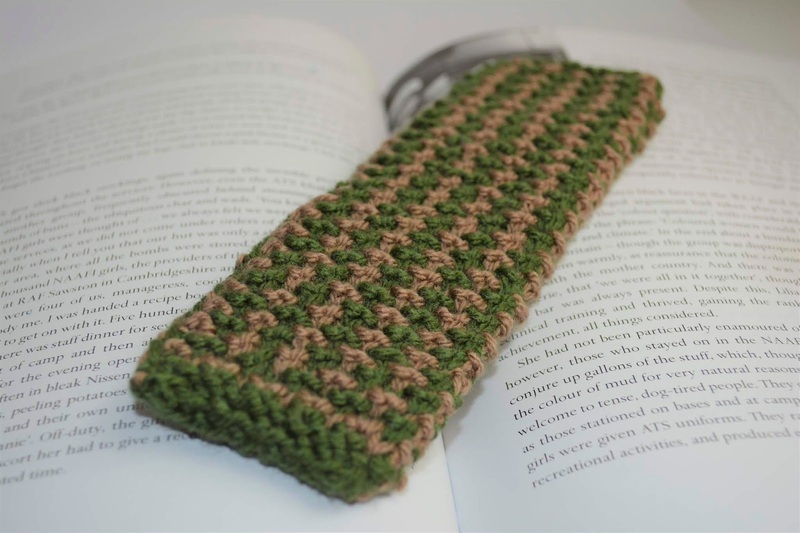 It is also a great way to use up your scraps of wool or recycle wool. 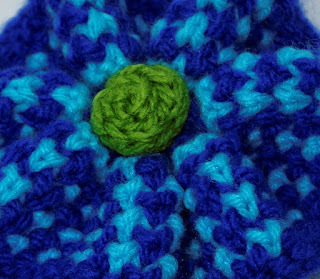 They would make brilliant quick knits for community craft stalls. 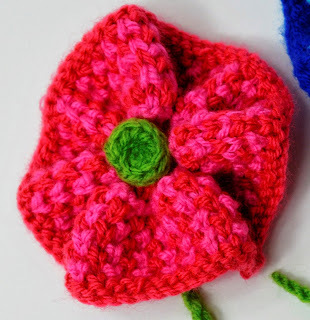 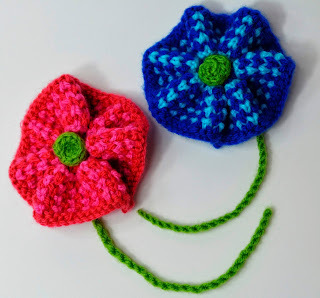 As we remember 100 years of the end of WWI in the UK, on November 11th 2018, I thought using a poppy design would be suitable. 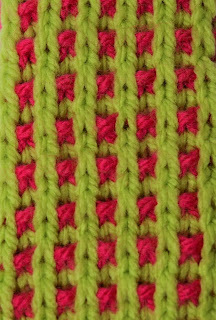 I have used three colours and the wool is weaved into the back of the work, like Fair Isle knitting. 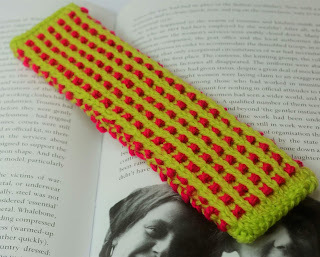 The bookmark is made up of two pieces and sewn together. 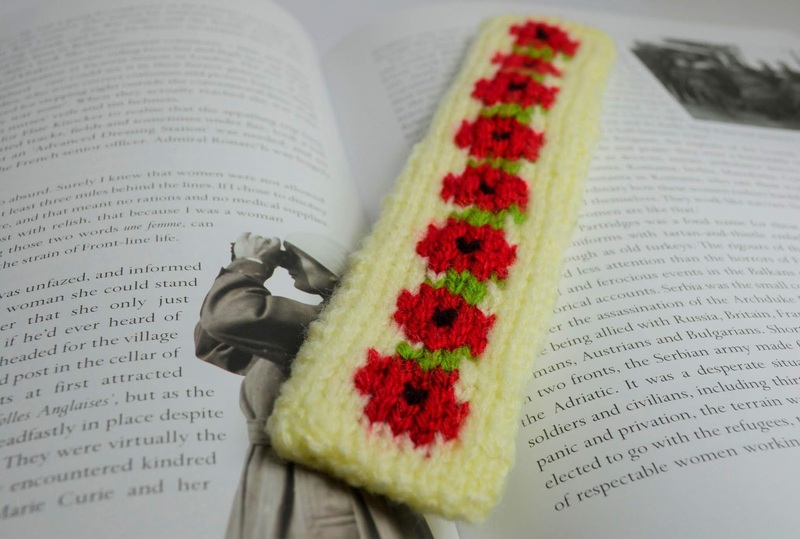 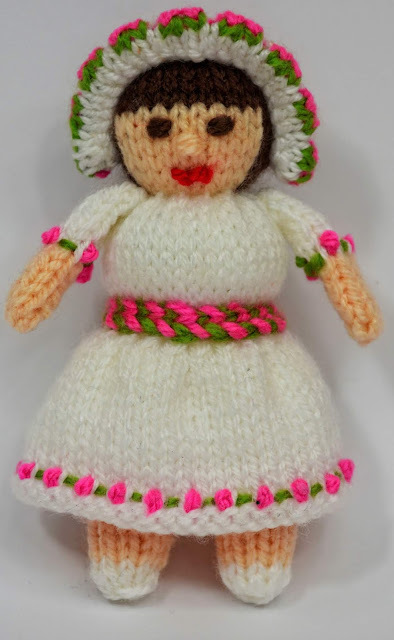 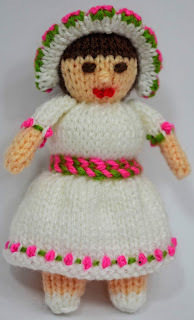 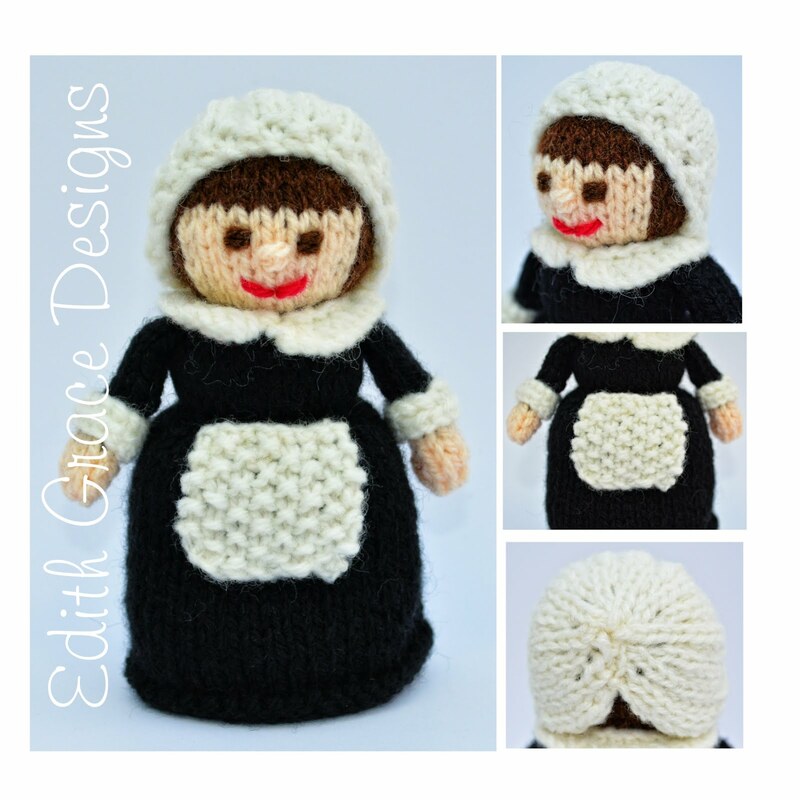 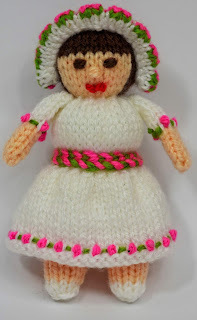 It is knitted on 3mm knitting needles, so not too thick for a book. 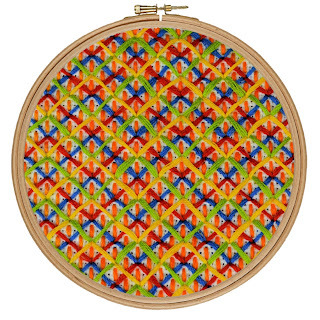 There is a chart of the motif that comes with this pattern.